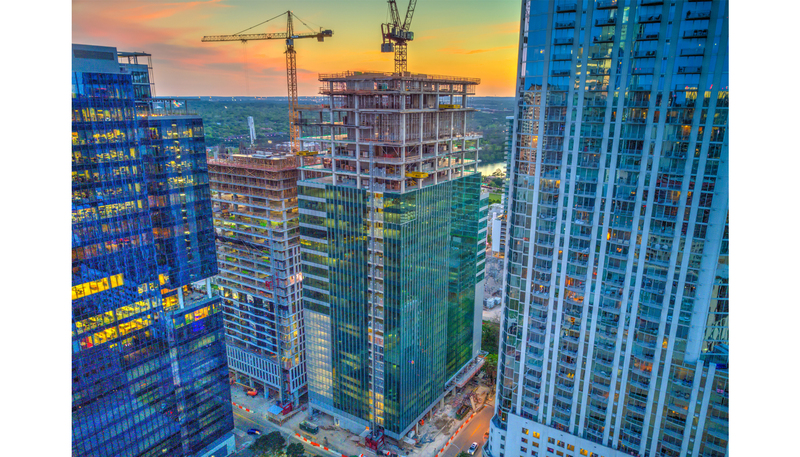 The recent topping out of the 30-story Third+Shoal project in Austin, TX marked the first time in company history that DPR self-performed all formwork and concrete work on a vertical high-rise structure. 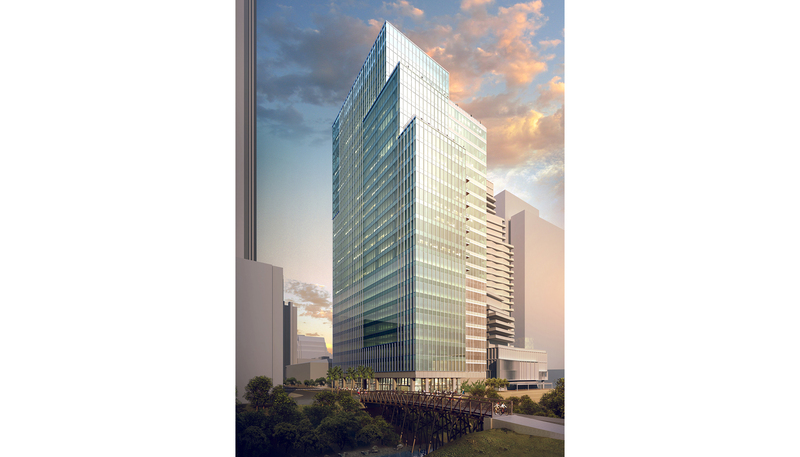 Located in Austin’s booming new downtown business district, the 392,000-sq.-ft. Class-A office building is DPR’s first for Texas-based development partners Cielo Property Group and TIER REIT. Facebook will be the building’s primary tenant after the project completes this fall. Working on a highly collaborative team with the clients (TIER REIT, Cielo Property Group, and BRDS), Gensler and other key firms, DPR was challenged during preconstruction to seek creative ways to save cost and time while maintaining the highest level of quality in design and construction. Together with structural engineer, Cardno Haynes-Whaley, the team devised a new approach for the tower. They transitioned from the originally designed pan slab and post-tensioned (P/T) girder on all floors to a P/T slab and beam in garage levels, and flat slab and P/T beams in the office level. The revised approach was more efficient to build and offers more aesthetic flexibility for tenants who want open space or exposed ceiling type finishes. DPR was awarded the $25 million contract to perform all formwork and concrete work on the project with in-house crews. The resulting savings to the owner were substantial–shaving over $2 million from the budget and approximately two months from the schedule. “We worked with the structural engineer to redesign the entire structure around the formwork system that was different than what most of the players in the market use,” said DPR’s Andrea Weisheimer. The modified formwork system allowed the concrete work to be installed faster and more efficiently, but proved far more complex to design and construct. Approximately 55 DPR crews self-performed the concrete formwork and installation of 35,000 cubic yards of concrete on the project, in addition to waterproofing and specialty construction product work. All totaled, DPR has delivered nearly 30 percent of the overall project with in-house forces. “With our in-house services, we can engage from the start and not have to rely on what can be an overwhelmed subcontractor market on some projects,” noted Kyle Weisheimer. To help successfully deliver the self-perform formwork on the Third+Shoal project, DPR tapped the expertise and knowledge base of vConstruct, which specializes in providing virtual design and construction services, on the latest BIM platforms. Paul Byrne, director of construction at Cielo, said DPR’s ability to undertake the largescale self-perform contract delivered big benefits to the project’s bottom line.